I like words. They are important. They carry a multitude of meanings in a multitude of languages and we cannot communicate without them. Sometimes, though, there is not quite the right word to fit the occasion. Despite my Sensing preference which craves reality I find there is a need to simply make one up. And here it is…simplexity! I hope you like it. What this means is the quality within something that allows it to have simplicity without dishonouring the complexity of the subject. In a nutshell this is what I try to do in my work with Type. Type is a highly sophisticated and complex framework for understanding human nature and behaviour. However, we can kill it dead by using terminology that is outside the understanding of many. Well said, sir. I couldn’t agree more. With this in mind it is, in my view, essential to combine language and image to achieve an understanding of any concept whether this be in the domain of psychology or anything else you wish to think of. It works. This simple yet magical combination is as successful now as it ever has been, perhaps more so given our daily digital digest of images on our screens both large and small. So, having decided that this is the way to go, what images work best? This is up for debate and is, of course, highly subjective. I believe that keeping them simple is vital. In my coaching practise I use this in two ways. Firstly by using the symbols such as those on The Personality Puzzle and Type Trilogy cards. Secondly by suggesting to my clients that they make up their own image that they may feel suits them better. This can lead to some rich conversations that allows them to clarify their understanding. For example; I have always used a set of four outward arrows for Extraversion and four inward arrows for Introversion. That’s simple enough to represent the energy flow innate in these preferences. However, when I asked an audience what they might change the insightful suggestion was that it may be better to have three arrows out and one arrow in for Extraversion as it honours the presence of the need to be energised internally at times, and vice versa for Introversion. A good idea which I have used ever since! I also love another recent addition to my lexicon on Extraversion and Introversion which is that those with a preference for Extraversion are ‘solar-powered’ whilst those with a preference for Introversion are ‘battery powered’. Simple and yet so helpful. Another example: To describe someone with a combination of Intuition and Feeling (NF) I often say their minds are ‘Oceanic’, constantly in flow, organic, fluid. This is their starting point from which reality can emerge. When I asked a client how that felt for him he said it was like eels moving around each other, slipping and swirling. Slightly ‘icky’ I thought but, actually, another insight that adds to my own understanding of how these two preferences combine. 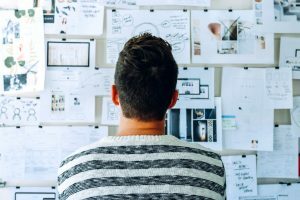 My point is that, given the chance, people can come up with a wealth of descriptions that validates their Type in their own unique way which are very often prompted by a simple analogy or metaphor that gets the ball rolling – if you see what I mean! Another joy for me when working with Type are the multiple lenses that can be applied. By this I mean the many ways that the four-letter Type code can be sliced and diced to reveal further insights. This can be looking at preference pairings e.g. the outer two letters, the function pairs, the 2nd and 4th letters, the 3rd and 4th letters, etc. It can also be a breakdown into Temperaments or Interaction Styles. These are all opportunities to create dialogue around diversity and unique identity. There are so many times I believe it is a privilege to do the work we do as Type practitioners. At the BAPT conference I will be presenting a workshop on Simplexity – the art of making the complex simple. I’d also love to talk to anyone who has different ideas, uses their own creations for explaining Type and generally doing what we do best at Type conferences which is sharing our expertise with fellow enthusiasts. Every time I attend a conference I come away with something new. I’m sure you will too and I look forward to seeing you there. Sue Blair (ESTJ) has worked with psychological type for over 16 years. She is an international presenter and keynote speaker, as well as a qualified MBTI practitioner. 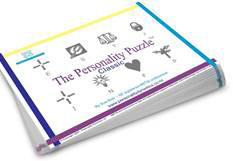 She is the author of The Personality Puzzle card sort resources, now used worldwide by coaches and counsellors. She has taught thousands of teachers, parents, students and businesses about the importance of self-awareness and communication.